Most businesses lose 10% or more of their customers every year. The majority of these could be saved if the business knew a customer was that unhappy. Worse, 96% of unhappy customers won’t complain to you but will tell up to 15 friends. So how much is this costing the business? The defection cost is usually, a mix of lost profit and brand impact from negative online reviews. It is always much higher than the business thinks. 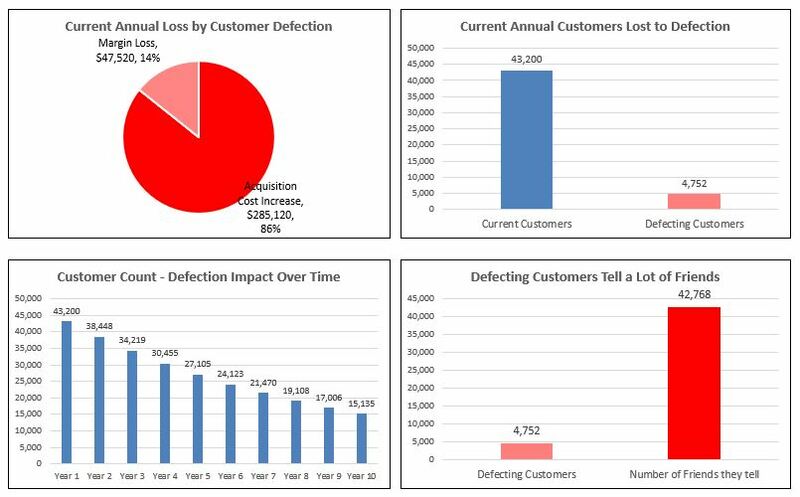 We developed a quick way to estimate the impact of this customer defection using Excel. The calculator quantifies the profit loss, then shows the ROI (return on investment) of programs that can help stop this defection and of course, help halt the online complaints. To get a copy of the Excel Customer Defection Calculator, click the botton below. Let us know what you think and how it can be improved. The first stage after the download is to load in the figures for your own business. The calculator quantifies the likely financial impact of customer defection to your business and the social media reach of negative feedback. 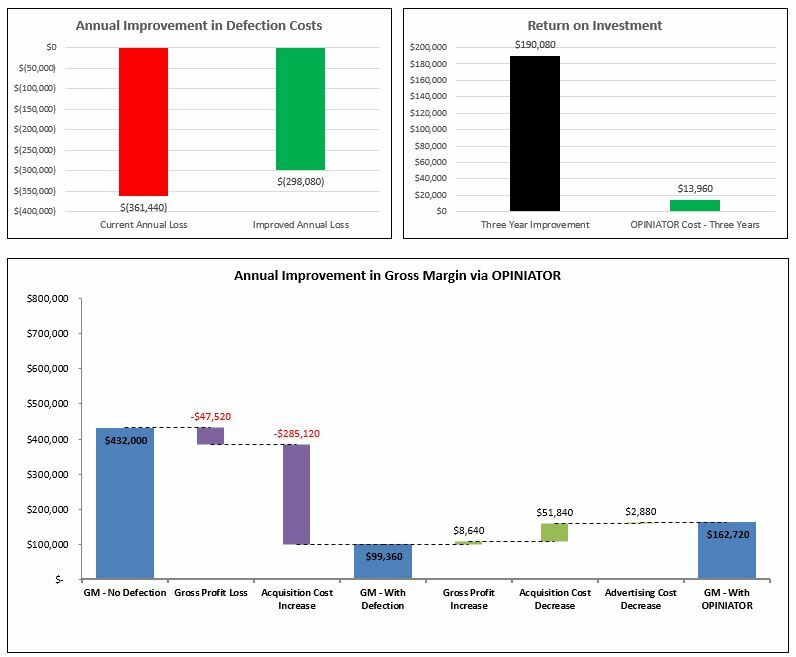 The next stage is to review the increase in profit and reputation if customer defection can be improved – perhaps using real-time feedback. The numbers are big and prove that a focus on customer retention yields a higher return than on customer acquisition. Enter Contact Info to Receive Your Download.